Saltfree Divers are a freediving school and club offering courses, freedive training meets, one to one coaching and training facilities suitable for all levels from beginner to instructor. 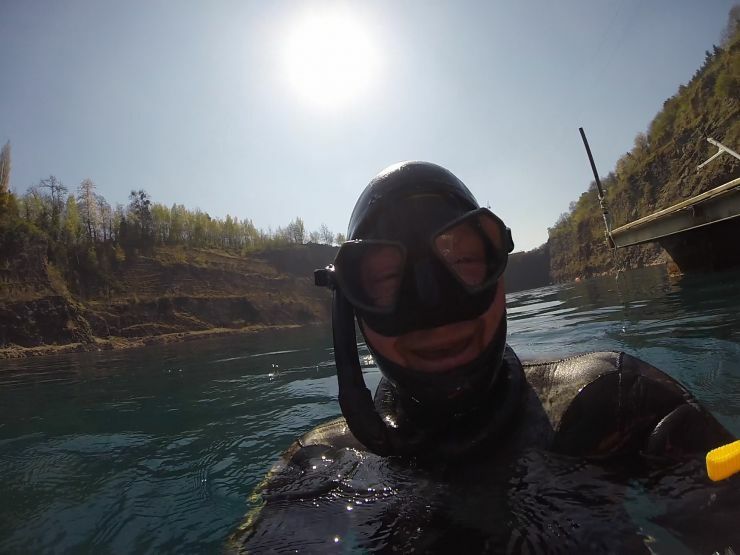 We are based at The National Diving and Activity Centre, a beautiful flooded quarry in Chepstow, near Bristol in the UK. Saltfree Divers was set up in 2003 by Sam Amps (nee Kirby). In 2017, Sam sold the business to one of Saltfree’s regular divers, AIDA Instructor Paul Sutton. 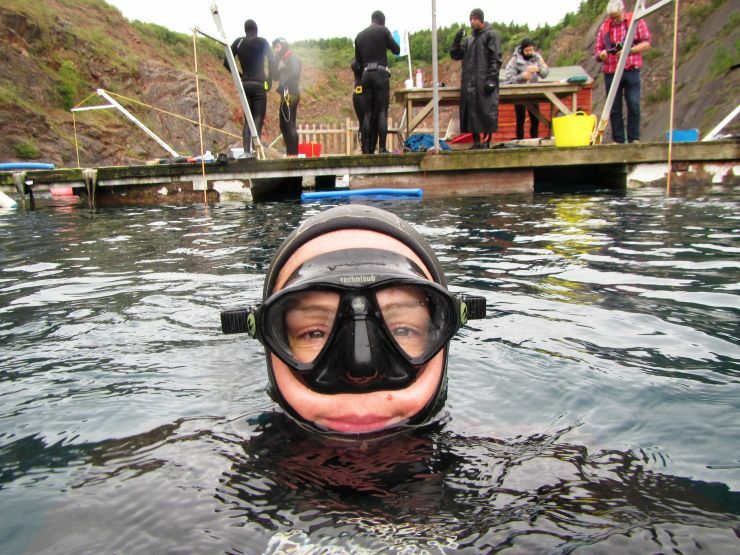 Saltfree caters for divers for all abilities – with courses for everyone from beginner to instructor and training lines that can be set to any depth to suit you. For some of our divers, 15m is a challenge, others can reach 80m+. The best thing is that everyone trains together and learns from each other, and our divers are very generous with sharing tips and experience. Saltfree was originally set up as a facility for experienced freedivers to train. With approx 80m of water to work with, it rapidly became the training ground for much of the UK team – and still is. 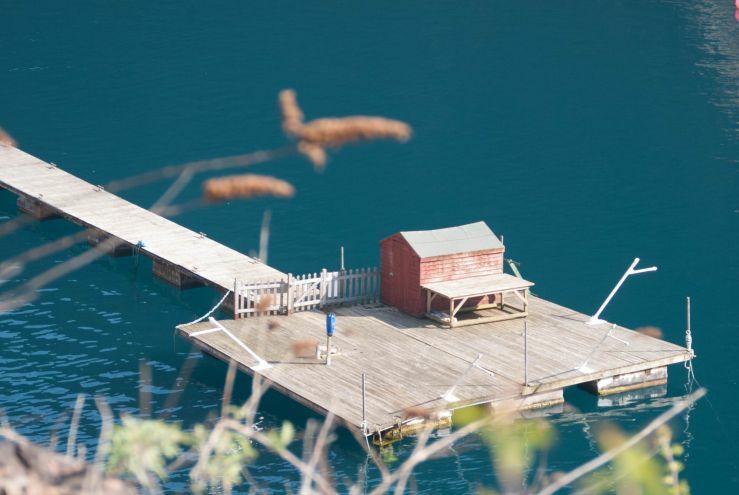 Over the years, we have developed the facilities into the UK’s largest freediving platform with four training lines, two counterweights, a shed full of equipment and loads of sunbathing/stretching space. The dive centre facilities at NDAC now include a very smart cafe, changing facilities with free hot showers, a dive shop and on site camping in wooden “wigwams.” Non-diving family can enjoy the zip wire, gravity swing, flyboarding and Segway experiences also available on site. Saltfree uses a regular team of instructors which include Paul, Sam and Kayleigh. 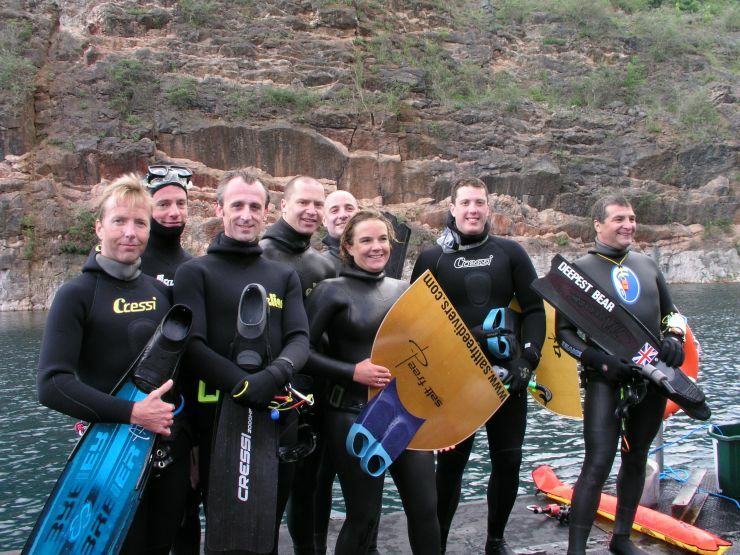 We occasionally have current or former members of the UK Freedive Team teaching as well. We each have our own specialisms but are all experts in helping freedivers overcome barriers and surprise themselves with their achievements. Whoever is your instructor, you can be sure they will be professional, relaxed, patient and of course – qualified and insured.